Join thousands of architects, interior designers, developers and retailers to view the world’s leading designers and manufacturers for the South Florida, Caribbean and Latin American markets at ICFF South Florida. 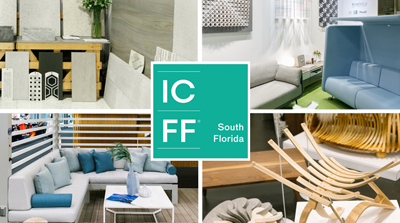 ICFF South Florida is the natural extension of ICFF NYC attracting over 3,000 interior designers, architects, retailers, developers and distributors to the Caribbean, South Florida, and Latin American markets. ICFF South Florida offers an unparalleled opportunity to view innovative design trends from all over the globe as well as interactive, educational programming led by some of industry’s top leading designers and icons.